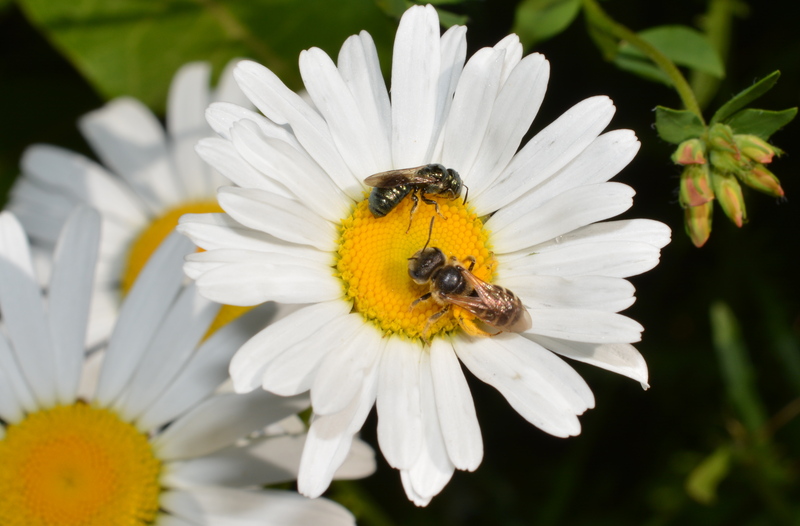 This photo essay tells it own story of two pollinators on a very small stage in a endless meadow of summertime flowers. This little sweat bee is enjoying a pollen and nectar snack on a beautiful summer day. Along comes a small carpenter bee to see what’s so sweet on this pretty little flower. The two bees dance a little duet on a very small stage. 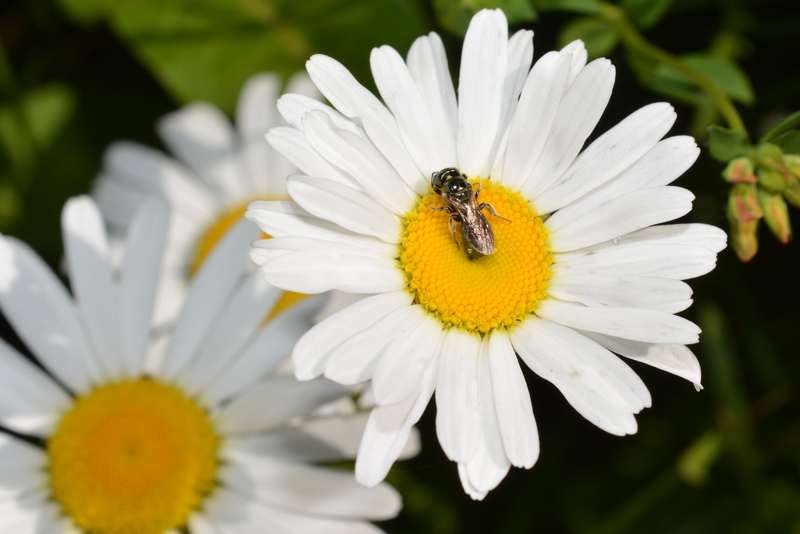 The sweat bee decides that two is a crowd and takes flight to explore a new daisy. The small carpenter bee is left to enjoy a pollen and nectar snack on a beautiful summer day. Previous Previous post: Cellophane Bees at Work!